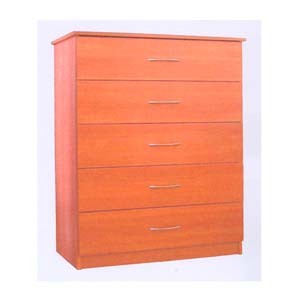 5-Drawer Chest Coated With Laminate. Available In Black, Natural and Light Cherry. Strong Construction. Easy to assemble. Size: 32 In. (W) x 45 In. (H) x 17 In. (D).